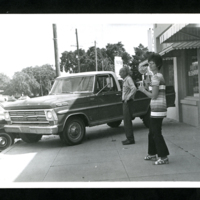 Truck parked on sidewalk on mainstreet 1971. Two unknown individuals are standing nexto to the truck. 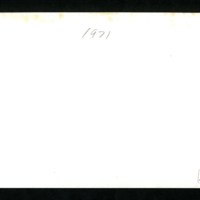 unknown, “Truck Parked on sidewalk 1971,” Hesston Public Library, accessed April 25, 2019, https://hesston.digitalsckls.info/item/1733.